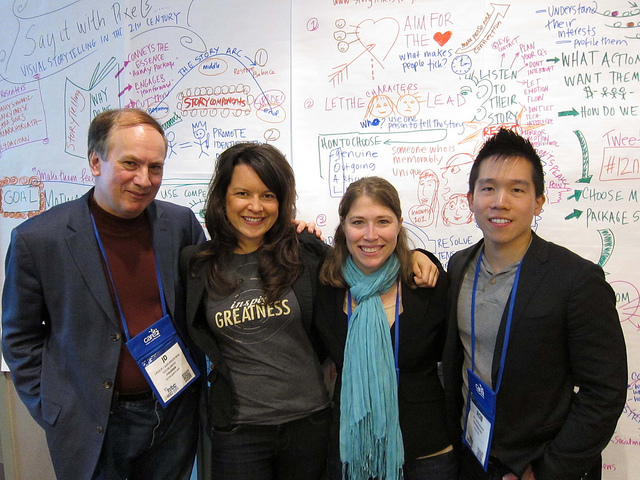 Me, Cara Jones, Jenna Sauber and Rob Wu after our “Future of Nonprofit Storytelling” session at last year’s Nonprofit Technology Conference. April marks a busy month for the nonprofit and social good community. I’ll be heading to Minneapolis for the Nonprofit Technology Conference (how about you?). Other highlights include Innogive, the National Conference for Media Reform, Investing In Women, Skoll World Forum, the Global Philanthropy Forum, Sustainatopia and Social Venture Network Spring.